Almost everyone I meet who is just visiting will ask me the same question - "what has changed since 1997"? For those who don't know, that is when Hong Kong ceased being a colony of Britain and returned to Mainland Chinese control (we call it Mainland as the smal question of Taiwan remains - but that is another story) and became known as the "Hong Kong Special Administrative Region of the People's Republic of China". The name alone is a major change, having been only "Hong Kong" before. There was great expectation and some level of euphoria by the population for the new position that Hong Kong now held. Fast forward to today - almost 15 years later - and things have changed a lot in some areas and not at all in others. 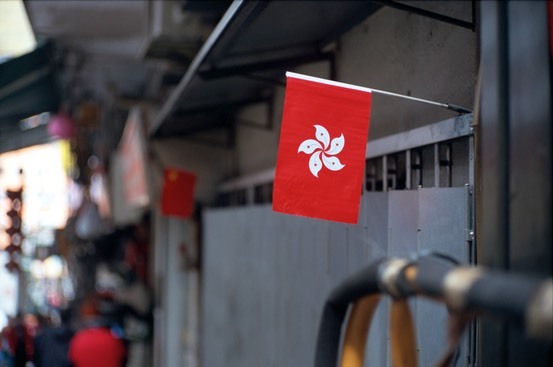 Hong Kong remains one of the most open and free economies in the world. Additionally you can come here and, with a little bit of intelligence, luck and sheer determination can make yourself a success. It doesn't matter where you are from this is a place where your ability to deliver matters above all else. The whole place is run as a benefit for business - the infrastructure is second to none, the tax rates are downright friendly and you can find any goods or services you could possibly imagine available 24x7. Where else in the world can you check in for your flight downtown and then take an express train from the checkin desk to the departure hall of the airport in 23 minutes? It is simply the easiest place to get things done and that is as much a reflection on the people and their culture as it is on the city as a collection of infrastructure. There is little outward sign of the Mainland Government in Hong Kong. Even the People's Liberation Army (PLA) garrison are firmly locked away inside barracks and rarely if ever show their faces about town. It all seems very benign. Contrary to many expectations, the PLA has been one of the least controversial of all the changes here. The most visible change is the legions of Mainland Chinese on the streets. Hong Kong has become a tourist shopping destination of choice for the Mainlanders - and we got 21,000,000 of them to show up last year alone. They all seemed to be packed into tour buses grinding up the Peak next to my home as well. They have now turned many of the old shopping districts of Causeway Bay and Central into brand-obssessed shopping malls that cater to mandarin speaking customers above all else. They can be seen squatting all over Hong Kong surrounded by Gucci and Louis Vuitton shopping bags. There is a backlash from the local Hong Kong Chinese now - who like to think that the Mainlanders are somewhat worse behaved than themselves - pointing to their loud nature, lack of queuing skills, boorish attitudes and tendency to spit a lot. The irony is that is how the Hong Kong tourists have looked to the rest of the world for some time, so it is quite funny. The Mainland has certainly stamped it's ownership on Hong Kong with an invasion, just one carrying cash and cameras and leaving with designer goods and iPhones. The changes are that have occured due to the goverment are often harder to find and of a more insidious nature. Newspapers and publications still largely publish what they wish, but ther eis some level of "self censorship" by some of them. The process of selecting the government for Hong Kong is now pretty well transparent and controlled very much by the wishes of the powers that be in Beijing. The policies of the government are very much guided by the "invisible hand" of Beijing to ensure that their wishes are put into action. Things like "patriotic education" in local schools - where patriotism is often defined by the accetpance of the communist party of China as the benefactor of all good things. The biggest and most noticable of the changes in the way the Government works is now in the activities of the Civil Service. It used to be a very professional setup using civil servants whose only long term interest was a trip back to England and a quiet retirement in a cottage. Now the senior civil servants are all local and very much interested in the increasing value of their property holding and stock portfolios as well as a cushy job later on working for a developer or some organisation that today benefits from their policies. I think many HK people today do not trust the motivating factors behind many of these people any more. Oh well, that's progress I guess…..